Wedding season is coming up faster than you may want to believe, and while most of the planning is probably underway, now is the time to finalize all of the little details. At Party Trailers, we would love to be a part of your wedding, whether you’re in need of entertainment for your reception or you want help passing the time between the ceremony and the party. We offer a variety of party packages, and we can customize any package to meet your needs. Browse our website to learn more about what our trailers have in store, and book Party Trailers today! There are so many things that you need to keep in mind when you’re planning a wedding, and it can be difficult to keep it all straight. 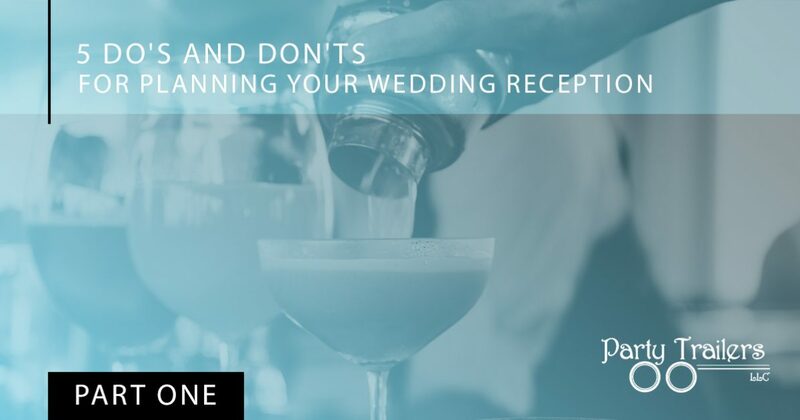 In part one of this two-part series, we will discuss a few do’s and don’ts you should keep in mind when planning your reception. There’s nothing worse than going to a wedding expecting to have a few drinks, and finding out that you have to pay. Weddings are expensive, and your bar tab will probably be one of the most expensive elements. However, there are other ways that you can save money on drinks without having to make your guests pay for every single one. Instead of using a cash bar, you can save money by offering a limited selection of less expensive drinks. Consider only offering a beer or wine to your guests instead of the entire bar, or if you don’t want to deprive people of cocktails, try offering just a few options for people to choose from. 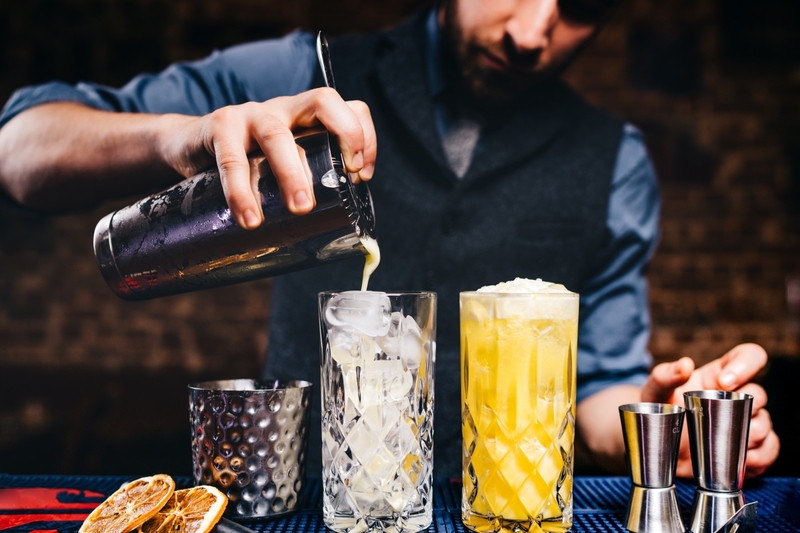 If you decide to only offer a few specific drinks, this can cut back the costs of other liquors, garnishes, and bartending. Additionally, you can always choose drinks that correspond with the theme of your wedding, or that pair well with the food you plan to serve. On your big day, it’s easy to get caught up in the excitement of finally starting your life with the person you love, but it’s important to make your guests a priority too. Often, the newlyweds will wait until after the ceremony to take their photos, and while this might add to the element of surprise when the bride walks down the aisle, it can also add unnecessary downtime before the reception begins. When you’re planning your wedding, you want to avoid unnecessary downtime where there is nothing planned to entertain your guests. Too much time between the ceremony and the reception might cause them to find a nearby bar or restaurant where they can fill up on drinks and snacks instead of the food you paid for. Instead, try to minimize the amount of time between events. If some gap is necessary, then have some way to ensure that your guests are fed and entertained. Planning your wedding reception can be a stressful affair, and you want to ensure that everything is perfect. If you’re worried about your guests getting bored between the ceremony and the reception, or you simply want to ensure they are entertained all night long, Party Trailers is here to help! We offer our expert party services to people across Nebraska, Kansas, Iowa, and Missouri, and we would be more than happy to provide you with event entertainment for your wedding. Browse our party packages, and hire Party Trailers today!